American Motorcycles Norway / Veteran-Mc.com: Sticker! 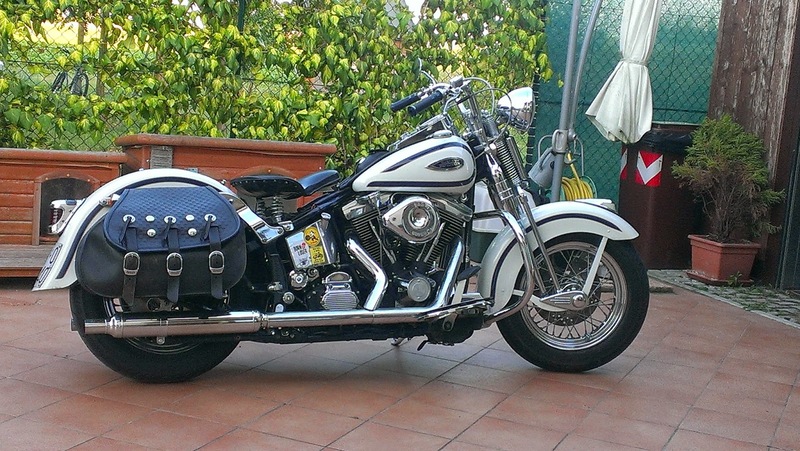 Matteo in Italy sent me a pic of his bike, a pretty modern HD with a classic touch. Looking closer at Matteos ride, hey there is an AMcN sticker on the oil tank! It is cool to see the stickers in use, thumbs up to Matteo!! Thanks Man! I will put one on the panhead oil bag too! !